An unforgettable story about pursuing justice with reckless abandon in the face of overwhelming odds. “Go to the edge of the cliff and jump off,” Ray Bradbury once said in an interview. 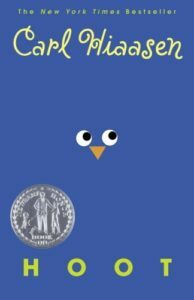 “Build your wings on the way down.” That bold advice could serve as an apt metaphor for Hoot (public library), Carl Hiaasen’s novel for young adults. It’s a hilarious coming of age story, and a rollercoaster of a ride that readers won’t soon forget. 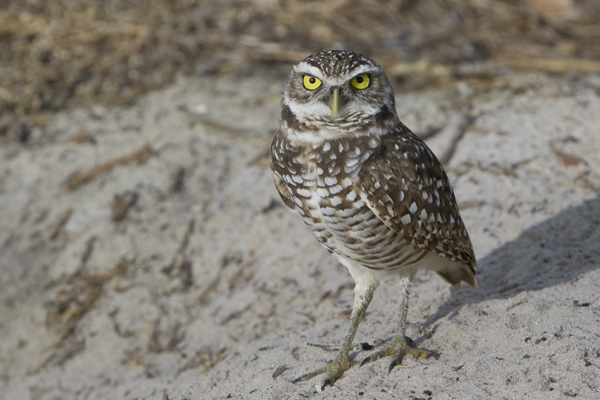 The story centers around the burrowing owl, an endangered species that happens to live on a plot of land that’s soon to become a construction site. 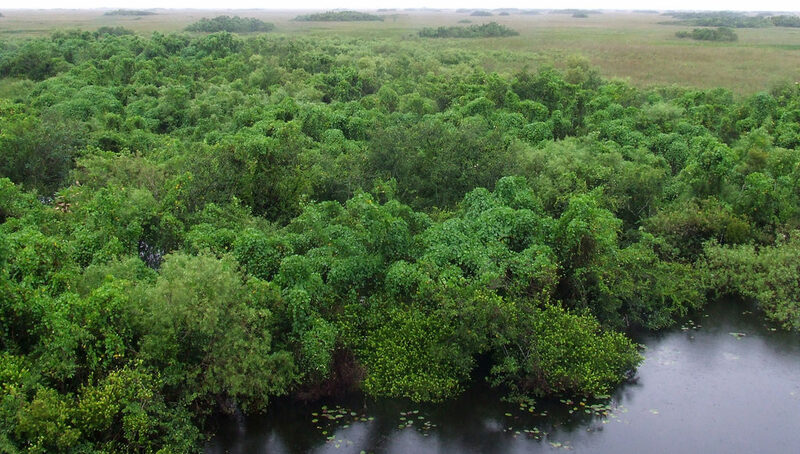 A popular pancake chain is preparing to break ground and start building its 469th restaurant on that very spot in Coconut Cove, Florida. The story’s young heroes — Roy, Beatrice, and Beatrice’s step-brother, a homeless boy known as “Mullet Fingers” — work together to stop the construction and save the owls. Combining all the hallmarks of modern society together with elegance and humor, Hiaasen’s book is a masterpiece that keeps readers in suspense to the end. It’s all here — corporate greed and corruption, environmental destruction, teenage malaise, boneheaded bullies, and ecoterrorism. At its core, Hoot is a story about middle school students standing up for what they believe in. In the face of overwhelming odds and paralyzing moral dilemmas, the story’s heroes stay true to their hearts. They pursue justice with reckless abandon, doing whatever it takes to achieve their goal. The heroes lie to authority figures, vandalize construction equipment, evade police officers, and entrap bullies. The entire book is — dare we say — antithetical to societal values. That’s not a bad thing. Saving owls is a noble cause, and Hiaasen’s style brings comic relief to issues that aren’t a laughing matter. Readers will find themselves empathizing and even identifying with the characters. You can’t help rooting for them. The narrative is enthralling; the heroes’ cunning plans and illicit actions are downright exhilarating. The character known as Mullet Fingers — so named because he can catch a mullet fish with his bare hands — has lived in Florida his entire life, and he’s sick of watching it disappear. And fight back they do. From flattening the tires of a flatbed truck to notifying reporters that the environmental impact statement is missing from the city’s records, the underdog heroes pull out all the stops to halt construction. They declare all-out war against the overwhelming forces of capitalism that have converged on the tiny plot in Coconut Cove. But the characters also hit some moral conundrums along the way. For Roy especially, the war between his heart and mind never seems to stop. He wants to save the owls, but he doesn’t want to resort to vandalism to do it. The careful dilberations between right and wrong are some of the best parts of the story. Eventually, Roy finds a middle ground. Roy sat cross-legged on the floor, gazing up at the cowboy poster from the Livingston rodeo. He wished he was as brave as a champion bull rider, but he wasn’t. The Mother Paula’s mission was simply too risky; somebody, or something, would be waiting. The attack dogs might be gone, but the company wasn’t about to leave the new pancake-house location unguarded for long. In addition to a fear of getting caught, Roy had serious qualms about trying anything illegal — and there was no dodging the fact that vandalism was a crime, however noble the cause. Yet he couldn’t stop thinking ahead to the day when the owl dens would be destroyed by bulldozers. He could picture the mother owls and father owls, helplessly flying in circles while their babies were being smothered under tons of dirt. It made Roy sad and angry. So what if Mother Paula’s had all the proper permits? Just because something was legal didn’t automatically make it right. Roy still hadn’t settled the argument between his brain and his heart. Surely there had to be a way for him to help the birds — and Beatrice’s stepbrother — without breaking the law. He needed to come up with a plan. 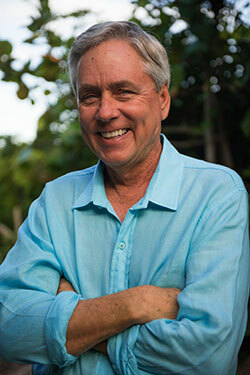 In an interview with the Washington Post, Hiaasen said that he felt the same way as a young adult growing up in Florida. When I was growing up in Florida, we felt as passionately as Roy and Noah of Hoot do. These are kids who see something wrong, and they’re trying to make it right, and they’re having a little trouble getting the grownups’ attention. This is often true in life! There are choices about which path to take, questions about what to do when you see something wrong. Do you stand and fight, or do you walk away? In both Hoot and Flush, the kids could have very easily turned their backs and walked away, said, ‘Oh, what the heck — there will be other owls somewhere else.’ Because, you know, when I was growing up, that’s what the grownups did. And now, there are very few owls left. How can a man be satisfied to entertain an opinion merely, and enjoy it? Is there any enjoyment in it, if his opinion is that he is aggrieved? If you are cheated out of a single dollar by your neighbor, you do not rest satisfied with knowing that you are cheated, or with saying that you are cheated, or even with petitioning him to pay you your due; but you take effectual steps at once to obtain the full amount, and see that you are never cheated again. Action from principle — the perception and the performance of right — changes things and relations; it is essentially revolutionary. Thoreau’s comments may help explain why Hoot is such a hit among young adults. The book is a fictional embodiment of Thoreau’s message of civil disobedience and “action from principle.” It’s empowering for young people to see strong fictional characters fight back against perceived injustices. Hoot is a hilarious, suspenseful novel that inspires young readers to stand up for the causes they believe in, environmental or otherwise. Complement with The Tripods series of science fiction books for young adults, then revisit I Am Jane Goodall, a must-read book for kids concerned with the environment.